Short Description of Services: Founded nearly 40 years ago by visionary EcoArchitect LaVerne Williams, AIA, LEED AP, Environment Associates (EA) is renowned for the design of hundreds of healthful, high-performance green homes, remodels, and additions throughout Texas and beyond. EA homes defy conventional thinking that a green home must cost more. In fact, an EA-designed home price tag compares favorably to the cost of building a conventional custom home. EA homes offer delightful long-term bonuses with lower living costs: smaller electric bills, reduced maintenance, healthier environments indoors and out, better return on investment, attractive aesthetics, and eco-friendly design and construction to last for generations. Williams’s work has directly and indirectly inspired the creation of countless life-enhancing green homes throughout the world. Short Description of Services: Architects and Consultants for new and existing homes and homeplaces that cultivate and provide conditions that promote quality of life. 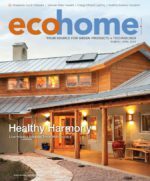 Environment Associates has a proven passion for cultivating and advancing quality of life through high-performance green homes in Texas and beyond. Short Description of Services: Studio 355 is a full-service architecture firm specializing in high-performance residential design. We have offices in Austin, TX and Boston, MA.